One of my favorite posts I have ever written was entitled “I Believe” as I shared the faith process in which I had to go through in order to come to some sort of sense of understanding of faith, infertility, chronic illness, and God and how they fit together. I really had to do some questioning and digging and searching but know that I’ve come out on the other side I know I am a better person for it. In the switch to WP, unfortunately I lost a lot of comments (I switched commenting systems several times on blogger and now I am really seeing the after effects of experimentation). But honestly recently, I have had the most discussions on weigh-in posts with the ladies of the Sisterhood, especially last week’s post. A post that I only wish I could be so eloquent to write was a devotional post entitled Loss & Resurrection which was written by Arianne from To Think Is To Create. The words just hit me straight to my core and I got a lot of response from readers. It was just a very very powerful post. I’m not sure if this could really be classified as my most helpful post but definitely the most fun I’ve had in writing a post to help others with chronic illness in some of the challenges we face which was a post on creating a Bowel Prep Survival Kit. These were things that I had wish I would known before having my first colonoscopy done! A post title that I am proud of is Raindrops & Giggles. It just fit perfectly with the experience in which I was writing about. A post that I wish more people read was In Search of Me. I think often in our life situations sometimes it is so easy to get caught up in what is going on around us that we often lose ourselves. In relation to chronic illness, I think it is very easy to allow yourself to be non-existent beyond your diagnosis and I know I have really struggled with that and was hoping for more of a response. 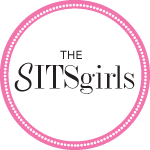 It’s not to late to join the party with the SITS gals! The challenge starts Monday July 19! I am popping over from Saturday Sharefest. I am so glad you are taking the challenge, me too! Can’t wait. This is such a cool challenge, I just hopped over to Problogger so I can post one on my blog next week. I really enjoyed your post about your faith during those trying times. I came to Christianity late in life, only a couple of years ago, and I appreciate connecting with other people’s struggles and how things are reconciled in this kind of situation. I know what you mean too about losing yourself. With a husband and 2 kids, one who’s only 10 weeks, it’s pretty easy right now to lose myself. That’s one reason I’m doing the 31DBBB challenge – to reconnect with my blog, because my writing is SO much just ME. Such a great challenge! I haven’t done it yet, but was thinking of joining in. I just joined the challenge and found you on BlogFrog…very cool! I can’t wait to get started. Thanks so much for sharing your link! I finally got my post up with my seven links as well- what a great exercise to have you overview your blog! I’m considering adding the post to my About Page. I’m looking forward to reading around your blog a little more, I’m a new follower! Thanks for visiting! I stopped by your blog to read your 7 links! Loved them all!